Kraft is recalling 242,000 cases of the Original flavor of Macaroni & Cheese Dinner because of concerns that some boxes could contain small pieces of metal. "We believe a piece of stainless steel got wedged in a metal piece of equipment, which may have generated friction that resulted in small pieces of metal potentially falling into the product", said Kraft spokeswoman Joyce Hodel in a statement. Kraft distributed the product across the US and to Caribbean and South American countries but not to Canada. According to Hodel, eight complaints of metal pieces have been received by the company and no injuries have been reported so far. New Delhi: The Food Ministry is in favour of extending export subsidy for only 1.4 million tonnes of raw sugar in the ongoing 2014-15 marketing year. "A cabinet proposal to extend export subsidy on raw sugar for 2014-15 marketing year (October-September) has been sent for inter-ministerial views. 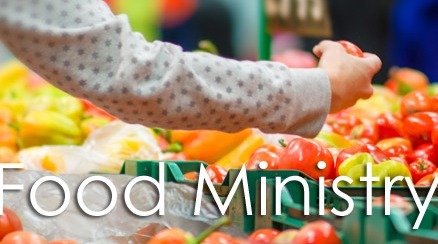 The Food Ministry has proposed a cap on quantity at 1.4 million tonnes," sources said. Last year, the Centre had announced a subsidy for exports of raw sugar up to 4 million tonnes in order to help the cash-starved industry clear sugarcane arrears to farmers. The subsidy scheme ended in September 2014. Guwahati, Nov 18 : Union Minister for Food Processing Industries Harsimrat Kaur Badal visited Guwahati last week and interacted with various stakeholders involved with the food processing sector. She highlighted about the facilities of the Centre in the food processing sector at the interaction session that was organized by the Indian Chamber of Commerce on November 11. Washington, Nov 1 Burger King is set to open their first location in India in November with an entirely beef-free menu. 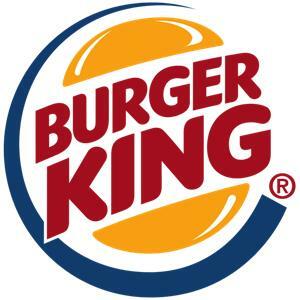 Burger King India, which has opted to drop beef and pork from its menu in order to respect the religious practices of the Hindus and Muslims that make up most of the country's population, will be offering Chicken Whopper, a Vegetable Whopper and a Mutton Whopper, Fox News reported. However, after Burger King India announced the news on their official Facebook page, fast-food lovers in India slammed it for not offering beef and pork whoppers. New Delhi, Aug 26 : The Chairman and Chief Executive Officer (CEO) of PepsiCo, Indra Nooyi, who met Minister of Food Processing Industries, Harsimrat Kaur Badal today, has said that her company has already invested substantially in India's food processing sector and they wish to double this investment in the coming years. Talking about the prospective investment, Harsimrat Kaur said, "Lot of investment is coming, which is substantial. In coming years, it will surely double. So, good amount of investment will continue to come in different parts in India." New Delhi: Italian coffee brand Lavazza Tuesday announced exit from coffee shop business in India by selling its Barista brand to Carnation Hospitality. The company, however, will continue to supply coffee to Barista through a long-term supply agreement. Lavazza in a statement said it has decided to lay greater focus on its core business, which is coffee. Commenting on the announcement, Lavazza CEO Antonio Baravalle said: "The decision to move out of Barista has been taken accordingly with the global business guidelines of the group to no longer manage directly the coffee shop business." Care to try 'World's most expensive hot dog' worth $100? New York, August 8 - A hot dog topped with kobe beef, lobster and Louis XIII cognac worth 100 dollars has been named the 'world's most expensive hot dog'. The exclusive Dragon Dog created by Vancouver-based restaurant Dougie Dog, is soaked in 2,000 dollars vintage cognac and topped with fresh lobster and kobe beef seared with olive and truffle oil, and has been officially recognized by Guinness World Records as the world's most pricey hotdog, the New York Daily News reported. New Delhi: The government has again extended the ban on imports of milk and its products from China for one more year till June 2015. "Prohibition on import of milk and milk products (including chocolates and chocolate products and candies/ confectionery/ food preparations with milk or milk solids as an ingredient) from China is extended for one more year, i. E., till 23.6.2015 or until further orders, whichever is earlier," Directorate General of Foreign Trade (DGFT) said in a notification. The ban, which expired on June 23, is extended every year. Sevastopol, April 10 : Burger King Russia has announced it would open restaurants in Crimea after exit of its rival McDonald's from the peninsula, the media reported. "We are planning to open in Crimea, but I cannot say when exactly it will happen or how many outlets the company will have," ITAR-TASS quoted Burger King Russia CEO Dmitry Medovy as saying Wednesday. Burger King currently has around 200 restaurants in Russia. The global chain of fast food restaurants sensed an opportunity after its rival's departure after Crimea and Sevastopol seceded from Ukraine and joined the Russian Federation, according to The Independent. Fonterra, which is the world's biggest dairy exporter, has indicated that it will continue to focus on the Chinese market to expand its presence in the global market. The New Zealand dairy co-operative said that it will continue to market its own-brand milk products in China and expand its food services business in the Chinese market, which is a fast growing dairy market. The company has recorded a fall in earnings during the first half of the year. US fast food giant, Taco Bell has said that it is planning to release a new menu on 27 March, 2014 in order to compete in the breakfast game. Taco Bell has indicated that it will compete with the likes of McDonald's McMuffins. The company said that the new menu will also include traditional items with a Taco Bell twist like Waffle Taco, which is wrapped around a sausage patty with eggs, cheese and a side of syrup as well as A. M. Crunchwrap, a warm flour tortilla with eggs, hash browns, cheese and bacon or steak in a flour tortilla and the Bacon and Egg Burrito. New Delhi, Feb 19 : Indian food ordering portal Foodpanda. in has collaborated with OpenRice, a popular food and restaurant review website across the Southeast Asian region. Before placing their order, Foodpanda users can check food reviews of the listed restaurant. The association will help OpenRice users to order food directly from their preferred local restaurant by accessing the Foodpanda site. Everything you wanted to know about McDonald's revealed! Melbourne, February 11 : McDonald's has answered over 14,000 questions they received from curious Australians since they launched their myth-busting ' Your Questions ' campaign explaining their products. One of the consumers asked if the fastfood chain used only gherkins in their burgers so they wouldn't be considered confectionary, to which the company replied that they didn't, News. com. au reported. Jubilant FoodWorks Ltd., the operator of widely popular Dominos Pizza and Dunkin' Donuts chains in India, suffered a decline of around 11 per cent in quarterly standalone net profit even as net sales jumped significantly. The company on Tuesday announced that its standalone net profit slipped 10.9 per cent to Rs 33.59 crore in the three months ended December 31, 2013. Net profit slipped even as the company's net sales jumped from Rs 385.08 crore in the October-December quarter of 2012 to Rs 456.51 crore in the same quarter of 2013. Leading global pizza chain, Domino's Pizza has said that its sales has risen 6 per cent to _46.8 million during the previous year as the Irish economy records a strong recovery. The company said that its sales were 7.6 per cent higher during the 13 weeks to December 29. The increasing sales is an encouraging sing for the company after it had recorded a fall of 0.3 per cent in like-for-like sales during the same period of the previous year on a yearly basis and 4.2 per cent lower in the same quarter of 2012. Addis Ababa, Jan 6 : Allana Sons, one of the largest Indian meat processing companies, has invested $20 million to establish its first meat processing and exporting plant in Africa. The company has made its base in Ethiopia's Ziway town in Oromiya state of Ethiopia, 159 km from capital Addis Abeba. New York, December 27 : Fast food chain McDonald's Corp has shut down a website that warned its own employees against eating fast food, after it garnered negative publicity. The McResource program was criticized for creating unrealistic budgets and offering advice which was deemed impossible with its employees' pay, the New York Post reported. The website, which was run by a third party company, intended to provide employees with work and life guidance. New Delhi, Dec 14 : Nothing beats the magic of soft, sweet and light doughnuts. Krispy Kreme, a US doughnut chain launched here Saturday, brings the experience home. It has already built a strong fan base in the capital thanks to its innovative Doughnut Drop activity. The activity, which involves sharing the brand’s doughnuts with people, started Nov 25 and continued till Dec 10. The doughnuts look irresistible and simply melt in the mouth. Some of the leading food companies in the US have declared victory in the Washington State case involving labelling of some foods that contain biotech ingredients but campaigners are hopeful that the remaining votes might still change the tide.